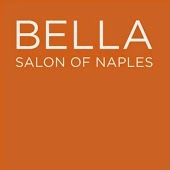 How Can I Go Bella Salon of Naples? Where is Bella Salon of Naples in Long Beach on the Map? It's always a risk to blindly give someone a chance to alter your style when you need to find a new salon, but I feel like I made a fantastic decision this time. What a wonderful experience this salon offers. The 3 things I look for are cleanliness, professionalism and friendliness. Bella has all of that and more. The salon has a warm, inviting design and you are greeted and pampered from the moment you arrive. My stylist was Brian and, not only was he a joy to conversate with, but I have never before received such a thorough, knowledgeable consultation. He is very good at what he does and I was extremely pleased with the outcome of my cut and highlights. Brian made sure I was comfortable, informed and involved in every decision...... I will absolutely return to him for my next appointment and recommend him (and this salon) very highly. I've had trouble finding the right stylist for YEARS! It seemed like I could never find someone with the personality and the talent that's a MUST in a good stylist. Finally... out of pure luck, a girl I worked with suggested Monica to me and I couldn't be happier! She knows what will work best for me when I'm not really sure about what color/cut to go with, and I walk out of the salon a "happy customer" each and every time! If you're looking for a great stylist, Monica is your girl! Robyn Z was absolutely wonderful! Great color (correction), great experience, great salon. I have long, straight hair and I was driving 2 hours to get my hair done to stay with my longstanding stylist in Santa Barbara who in the past had done a good job helping me keep it looking good. After a couple of not so great cuts/colors, I decided to find someone closer. Fortunately for me, I found Robyn and I could not be happier. She took a professional and consultative approach with me, which made me feel I was in the hands of someone who knew what they were doing. She fixed the color "mishap", and showed me how to get some different looks with my longer hair. My hair looked fantastic, felt healthy and I've received tons of compliments. I highly recommend Robyn at Bella Salon in Naples.